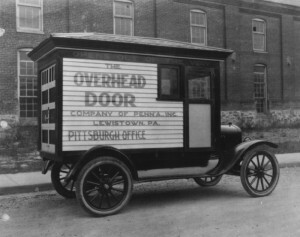 Overhead Door Corporation pioneered the upward-acting door industry, inventing the first upward-acting door in 1921 and the first electric door opener in 1926. Then, in 1934, The Overhead Door Company of Houston opened and has been satisfying customers since. Today, Overhead Door Corporation continues leading the industry through the strength of product innovation, superior craftsmanship, and outstanding customer support, underscoring a legacy of quality, expertise and integrity. That’s why design and construction professionals and homeowners alike all specify Overhead Door Corporation products more often than any other brand. How can The Overhead Door Company of Houston help you? Easy to schedule and very customer friendly!